Let’s talk social media. 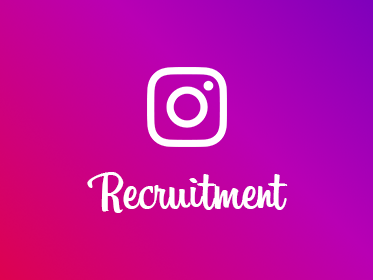 In an age where we check our phone on average 85 times a day, where we have five social media accounts and spend around 1 hour and 48 minutes browsing them every day; businesses are exploiting this using social recruiting in order to find potential employees. By using hiring automation techniques in the vast arena of social media, employers can increase potential candidate engagement, carry out candidate screening at a reduced cost and quickly narrow down the list of candidates to a manageable number. 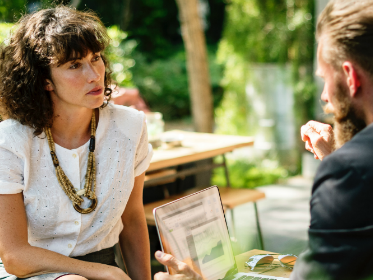 With most potential hires being active on social media it is fast becoming the number one place to find your next great employee and being able to utilize it to your advantage is a key step to take within your recruitment strategy. Looking to hack social media to enhance your recruitment process? Well, we’ve got some top tips for you to use social media to your advantage in your quest for the perfect candidate! It is easy to think simply putting a # in front of a word will gain you traction in candidate engagement, however really understanding the power of your tag will make it go that much further. Striking the right balance of not using a too general word so that it won’t get lost in a sea of tweets, and not using a too niche tag that will never be discovered is imperative if you want to hack your tweets to your advantage. Do some research, when posting about a specific role; investigate the community of candidates you want it to hit, understand the tags they may be searching or frequently using. Being specific about the city you’re hiring for, the role, and the company will really help you hit candidates effectively. There are tools that can help you in this endeavor, such as Tweet Binder (www.tweetbinder.com). Don’t ignore the power of being an active part of the community your company is within. If you provide value within these groups, post any of your company’s content, such as useful blogs, interesting webinars and actively communicate with others in the group this will make you a valued member of the group. This means that when it comes to hiring for a role from this community, you will be able to post your job link within the space without it coming across as promotional and it will enhance the candidate experience. Join Facebook and Linkedin groups relevant to you and your practice and start building relationships so that when you are recruiting it is from a highly responsive and active group of people who already trust you and your company. Linkedin is the preferred method of recruiters to seek candidates, and more than ever candidates are using the job search function to discover roles within their area that might appeal to them. Pimp out your Linkedin and be as active as possible on this channel as it is the one that most serious and active job seekers will utilize on their hunt. Firstly, make sure to continually update the first 200 characters of your Linkedin profile to reflect that you’re hiring and some short positives about your company culture. Don’t scrimp, pay for the Linkedin Recruiter tool to automate part of the recruitment process and enable some candidate pre-screening to save you time. Searching and targeting in a mindful way is key when harnessing social recruiting. You can make very specific searches when looking for candidates by using the filters and keywords on both Linkedin and Facebook. Similarly, use insights to inform the targeting of your recruitment posts, especially on Facebook, don’t waste time and really refine your demographic so it hits the exact audience you want through Facebook’s insights and targeting tools. With social media becoming the main recruitment and job seeker tool, it is important to think about setting aside the budget to a paid advertisement of the role you’re recruiting for, akin to traditional job advertisements in papers; these paid ads on social media will help you reach a wide and engaged audience quickly. When it comes to social media, sometimes your best tool is right on your doorstep. Your current employees should be as engaged in the company’s social media profile and as such the recruitment process as well. Employee advocacy can have a lot more traction than a simple job posting throughout social media channels. People trust people more than brands, so putting a face to the company, showing that employees want people to join their exciting dynamic team and utilizing the large network of your employee’s collective social media is an easy way to hit a lot of prospective candidates in a very organic way. It’s time to take the power of social media in your hands and use it for your recruitment strategy, start with these tips and discover the value of social media. Take your social recruiting up another level by using Job Pal to hook in a chatbot and automate your initial candidate conversation, enabling candidate engagement, HR automation and save time by adding in candidate pre-screening measures by personalizing what you want your chatbot to do for you.